Tania Tare is a young, pro golfer from New Zealand who is quickly making a name for herself, not on the pro circuit per se, but with her trick shot videos online. 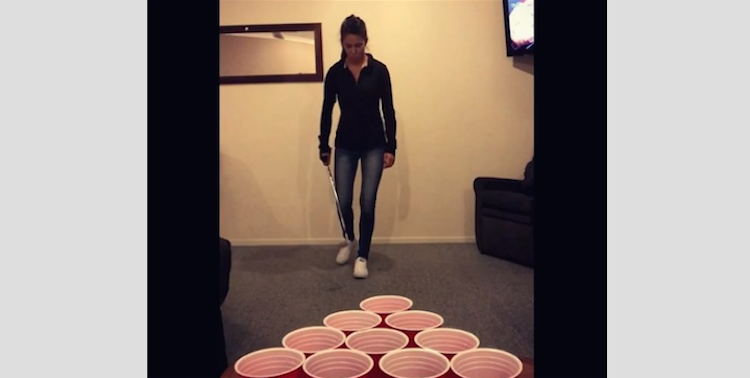 Her latest may be by far her most impressive feat thus far — finding ways to drill a beer pong shot using nothing but her club and a golf ball, and finding a different, creative way to do it each time. We can’t imagine how long this may have taken to shoot. But it doesn’t matter. This is unreal. And Tania, you can come to one of our parties any time.